Share a heartwarming bond with your elder sister and gift her with this engraved whiskey glass to have a drink or two. The unique engraved design is accompanied by your sister_s name on the whiskey glass. Enjoy your favorite bourbon like never before! Elegant, clean design. No fuss, nothing complex, but has a classic, flawless look and feel. Solid and heavy as any self-respecting whiskey glass should be. 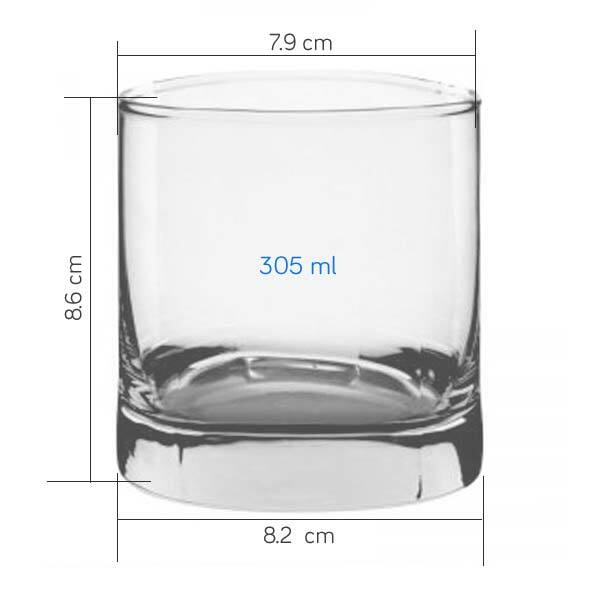 This is a set of 2 whiskey glasses. The glasses will be personalized as per the details provided by you. The product photo that you see, is a sample to indicate the 'design part' and the 'part that you can customize' . You can replace the sample initials, names or dates with your own desired text, and the glasses will have the design / style along with your personalized texts. The actual look of the product may vary slightly from the displayed product photo, however the engraving quality is quite good and the glasses are branded. Ocean Glassware is one of Asia' s leading glassware manufacturers. Its prime focus is clear and good quality soda lime based glassware. The new retail gift packs represent a unique and refreshing image of Ocean Glassware, targeted to meet gifting needs and enhance customer satisfaction, happiness and pleasure through the use of Ocean products for wining, dining and socializing. Brand INFO: Established in 1979, as another industrial diversification of the Ocean Insurance Group, Ocean Glass Public Company Limited has manufactured glassware of international standards since its inception. Ocean glass is one of Asia's leading glass tableware manufacturers, providing an extensive range of quality glassware and services in all aspects of business, from retail and food service to decorated glassware.